Every box presents a challenge. What's really in there? Is it legitimate cargo? Or are there concealed weapons, WMD's, explosives or narcotics? 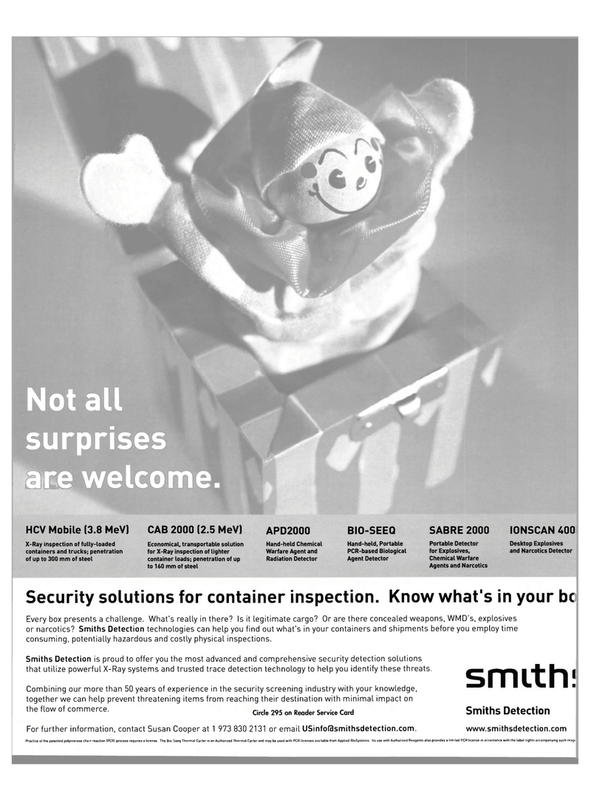 Smiths Detection technologies can help you find out what's in your containers and shipments before you employ time consuming, potentially hazardous and costly physical inspections. Smiths Detection is proud to offer you the most advanced and comprehensive security detection solutions that utilize powerful X-Ray systems and trusted trace detection technology to help you identify these threats. For further information, contact Susan Cooper at 1 973 830 2131 or email USinfofasmithsdetection.com. smith!